TWICE have unveiled a portion of the tracklist information from their upcoming 6th mini album 'Yes or Yes'! In addition to track information for the girls's title track "Yes or Yes", composed by David Amber and Andy Love with lyrics by Shim Eun Ji (who wrote the lyrics for "Knock Knock"), it seems that the TWICE members participated as lyricists in some of the tracks in their album once again! Track #3 "LaLaLa" contains lyrics written by member Jungyeon; track #4 "Young & Wild" contains lyrics written by Chaeyoung and Kim Hyun Yoo; and finally, track #5 "Sunset" contains lyrics by Jihyo! 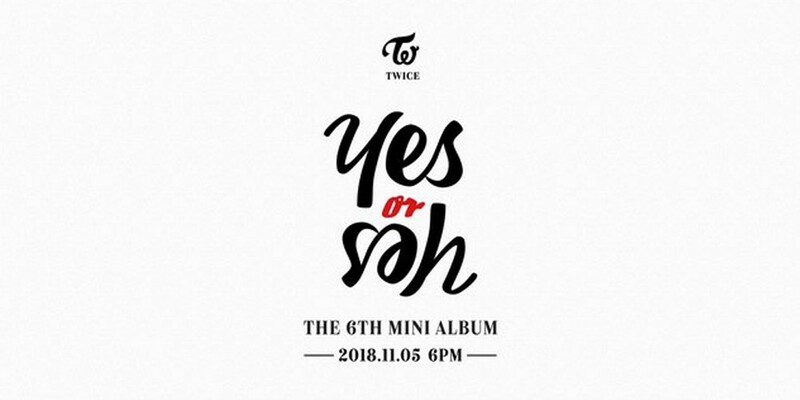 TWICE's 6th mini album 'Yes or Yes' is set for release this November 5 at 6 PM KST. I am beyong proud of Twice for writing lyrics and good lyrics lol. The only one left is Tzuyu, but the rest have wrote many tracks. It always amazes me how Twice is criticized by people who bring their favs' in as having a ''better discography'' when no one from the group took part in the process. Anyways, anticipate Twice yall. They're going to comeback with a banger, like they always do.